Valentine’s Day is just under two weeks away and, if you haven’t decided on a gift for your loved one just yet, Buyagift have a plethora of gift experiences available to purchase with just a click of a button, taking the stress out of shopping. Buyagift’s extensive range of experiences includes everything from thrill-seeking supercars to indulgent meals and relaxing spa breaks – there is something to suit every taste. The website has a dedicated page for Valentine’s Day with handy sections to help with your search. You can find a gift just for your partner, or treat both of you with their gifts for two. If you are on a budget, there are gifts under £50, and a section with current special offers as well. If you are unsure of what gift to get, Buyagift’s smart boxes are the perfect choice. Simply purchase one of the boxes and your partner can then choose from a range of experiences. There are short breaks, food & drink, spa & beauty and adventure themed boxes to choose from, each with a variety of experiences available to book. Buyagift provided me with one of their ‘Two Night Scrumptious Stay’ smart boxes and Ed and I headed off last weekend on an early Valentine’s Day getaway. We stayed at The Holt Hotel near the Cotswolds, which was perfect for a couple of nights away just the two of us. The hotel was close to a village called Steeple Aston and we spent Saturday afternoon exploring the countryside on foot, ending up in the cosiest of country pubs. We also headed over to Bicester Village, the discount designer retail centre, as neither of us had been before. It was only around a 10 minute drive from the hotel. 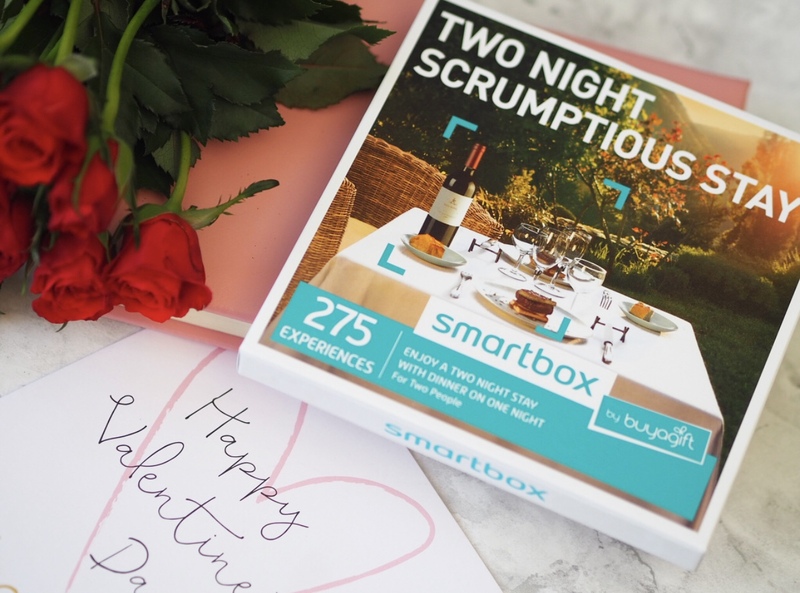 Our smart box included dinner on one of the nights and we enjoyed a lovely two course meal in the hotel’s restaurant on the Saturday evening. It was delicious and I would 100% get the burger again if we stay another time – it was the nicest burger I have ever tasted! Ed had the lamb shank, which was cooked to perfection. For dessert I had the chocolate fondant, which was freshly baked and tasted incredible. If you are looking for a gift that will last longer than a bunch of roses or box of chocolates, Buyagift have you covered. The choice of experiences on offer is fantastic not only for Valentine’s Day, but for other occasions too. This post is in collaboration with Buyagift. I was provided with a smart box free of charge as part of this collaboration, however all words and images are my own.